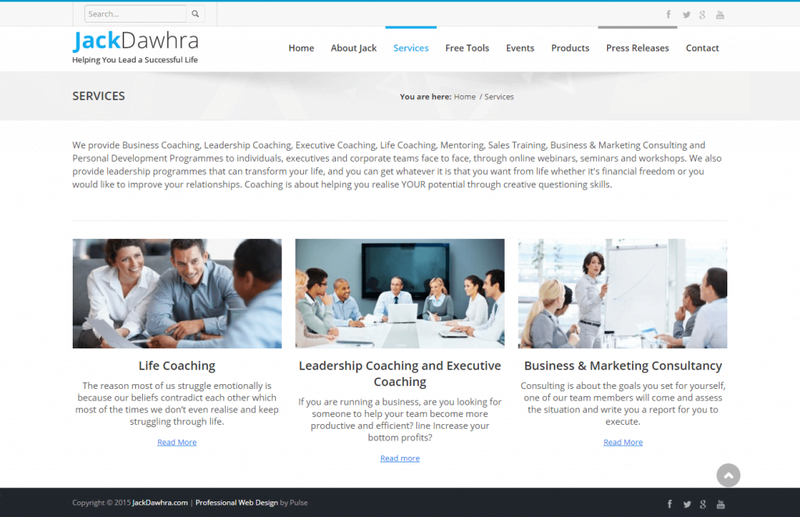 JackDawhra.com, Business coach website design. 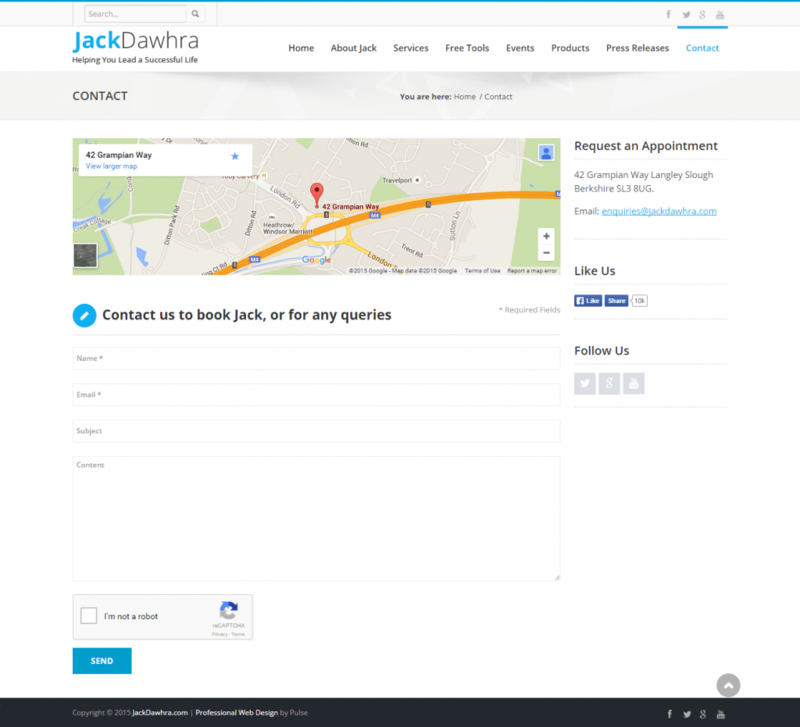 Jack is a Business coach who has helped 1000s get a better life. Jack started his career with family export business and moved on to start his own business after a few years. After running several businesses and investments for 20 years and gaining the experience, Jack realised that he is passionate about helping people through Business, Leadership & Life Coaching.At the age of twenty-five he was depressed and almost suicidal and didn’t know what to do, he picked himself up and started educating himself (academic and self-education). Pulse Solutions was contracted to build a site that matched Jacks easy going personality, built up audience engagement and was SEO friendly too. 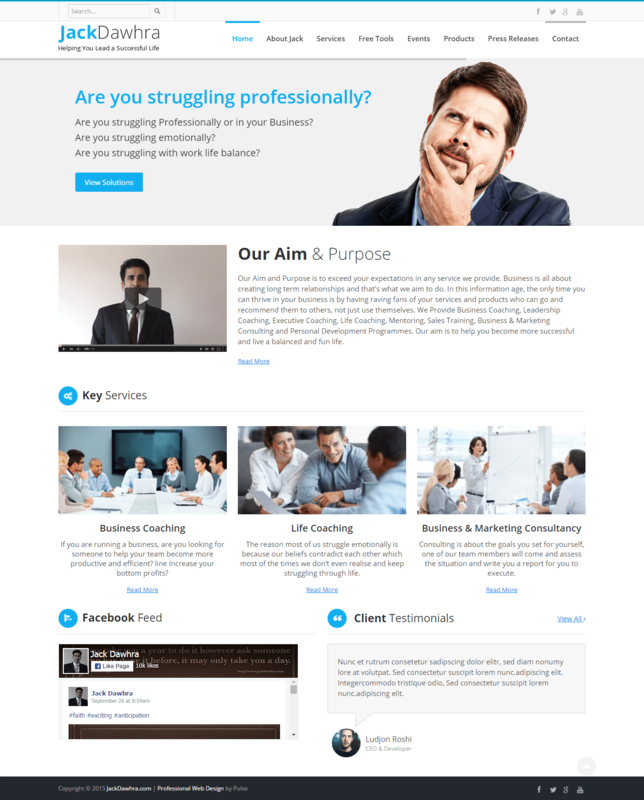 We designed a custom wordpress theme that surpassed all the needs. Jack is able to post new content online regularly and his viewership has doubled since launch!